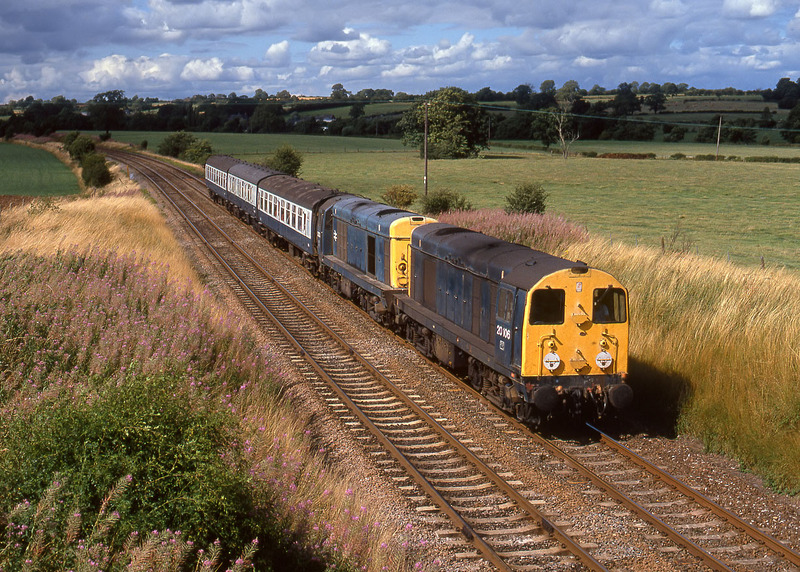 20106 & 20020 pass Bramshall on 12 August 1989 with the 2P82 14:47 Crewe to Derby service. For a few weeks in 1989 pairs of 20s were used on this service due to a shortage of Class 150 units. 2000 hp for 3 coaches is certainly adequate, and with no requirement for ETS, Class 20s were exactly right for the job. Nowadays I'm sure that these trains would be run in top'n'tail formation, or more likely just cancelled!